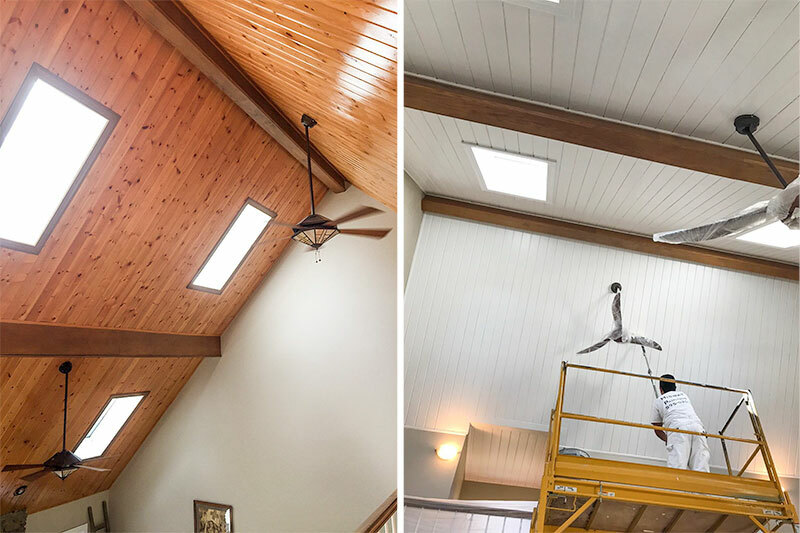 Vaulted ceilings are luxurious additions to a home, and it is important to make sure they look maintained and are updated regularly. A new coat of ceiling paint can turn your vaulted ceiling into the highlight of your living space. We primed and painted the great room of this beautiful home in Franklin. However, ceilings of this height can be dangerous and challenging to work with. We worked with an electrician on light fixtures, built scaffolding, and used extension tools to do this job with excellence and to make sure employees were safe and no part of the beautiful wood floors were harmed. This new white paint job makes this room look even more spacious and airy, and the owner was very pleased! The approaching winter season is the best time for interior painting jobs. Call us at 615-595-0207 for consultation and an estimate, or contact us here.